The set in this play consisted of a library in a large house and the design was naturalistic. 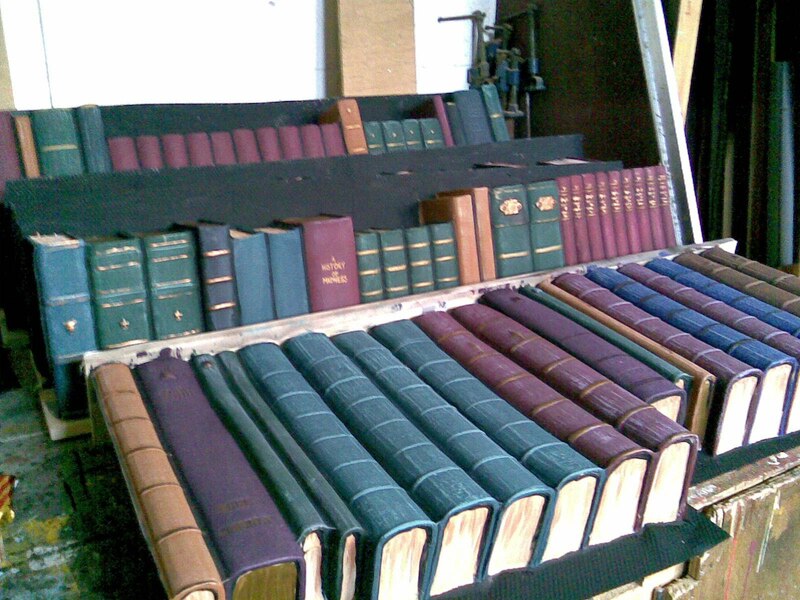 I was asked to help create the bookcases by painting up ready-made vacuum formed shelves of books (just the bookends really!) 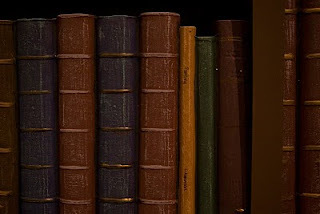 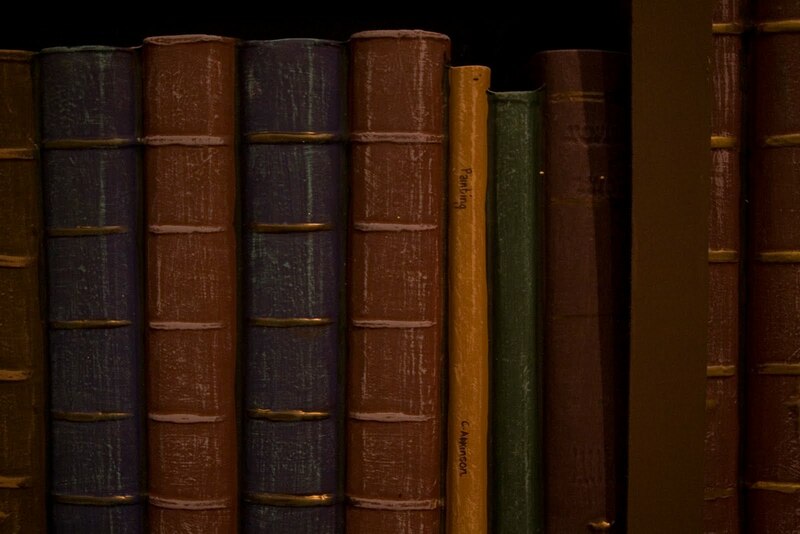 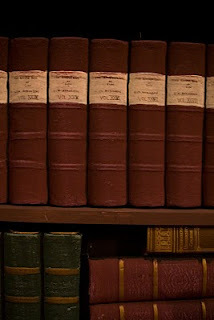 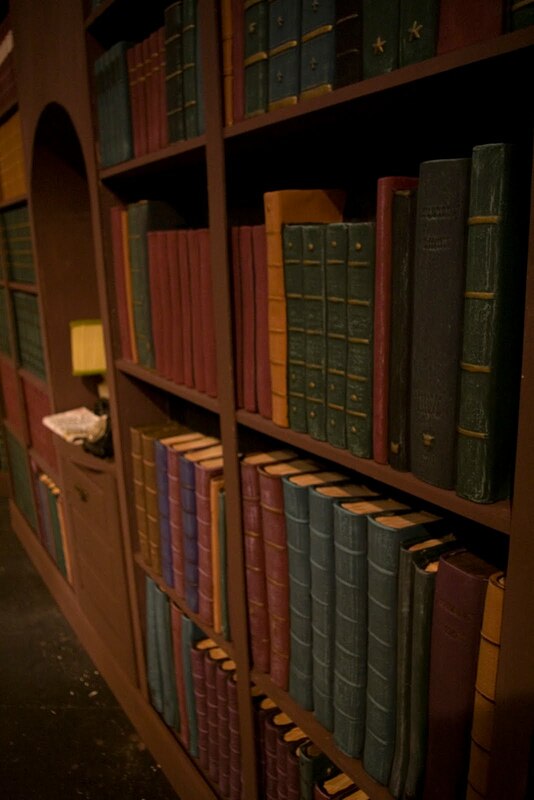 to look like real books so that they could be put into a framework for the bookshelves which lined the room. 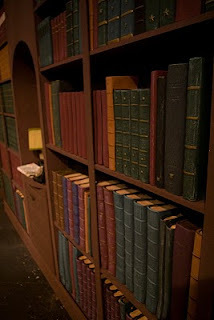 As there were a lot of bookshelves to do and limited time, I worked light over dark using the dry-brushing technique which is both effective and efficient for time. 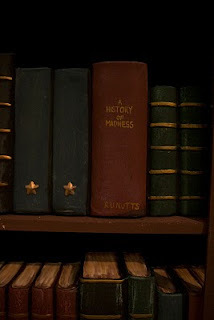 I then used a small brush with metallic enamels and paints to bring out some of the details such as titles and bands on the spines. 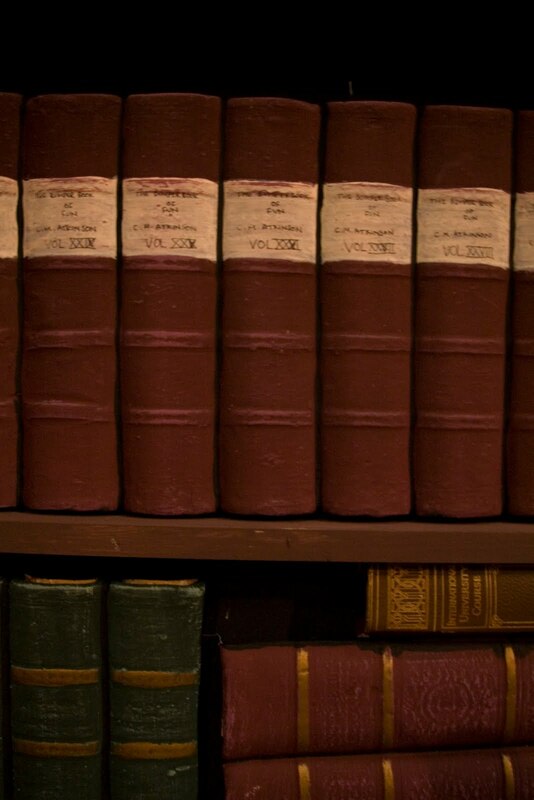 "The Bumper Book of Fun by C.M. Atkinson Vol's XXIV-XXVIII"
"A History of Madness by R.U. Nutts"
Anyway here are some pictures of the final bookshelves in their entirety - Alan Corbett - the guy who built the framework - cleverly made them so that they fold up with the books on the inside, as the theatre were so impressed with them that they wanted to keep them for future productions and/or to hire them out to other theatre groups! 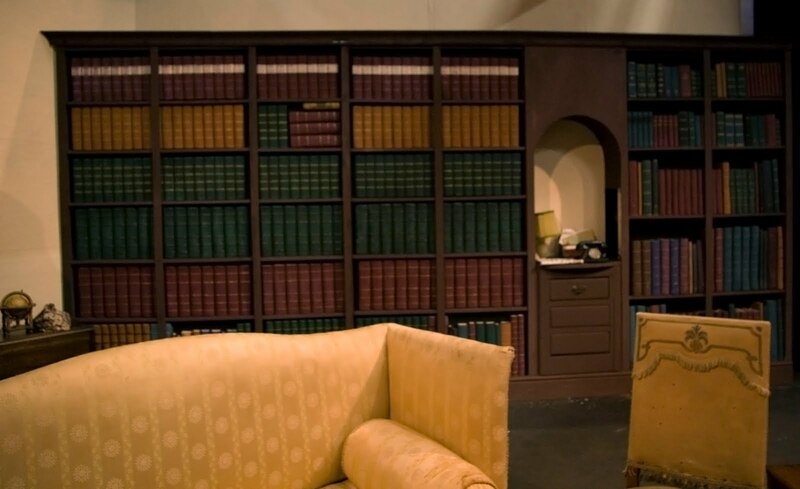 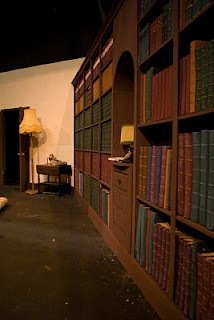 The Bookshelves were used again in the TTC production of James McDonald's Something's Afoot, February 2010. 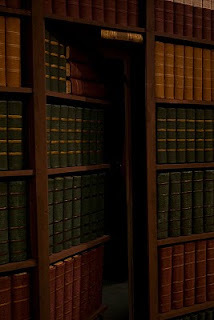 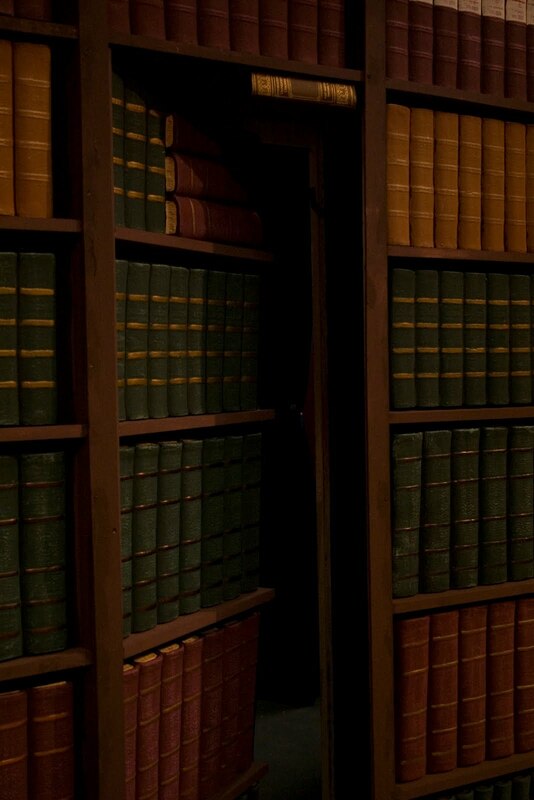 The bookshelf wall also included a secret door which was to be an entrance or exit in one of the scenes.